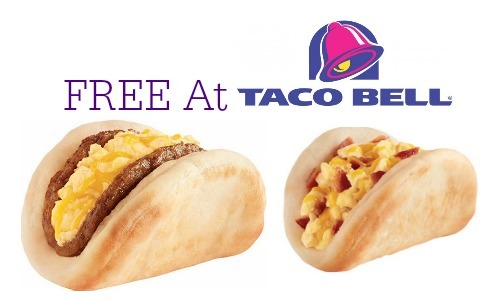 Mark your calendars and head to Taco Bell on 5/5 from 7am to 11 am to get a FREE Sausage Biscuit Taco or Bacon Biscuit Taco. There is no purchase on coupon necessary, so stop by for a FREE breakfast! One FREE taco per person, while supplies last. This is a great time to try these new biscuits if you haven’t already!